The European Court of Justice acknowledges that “the multimedia player has been purchased by a fairly large number of people”. 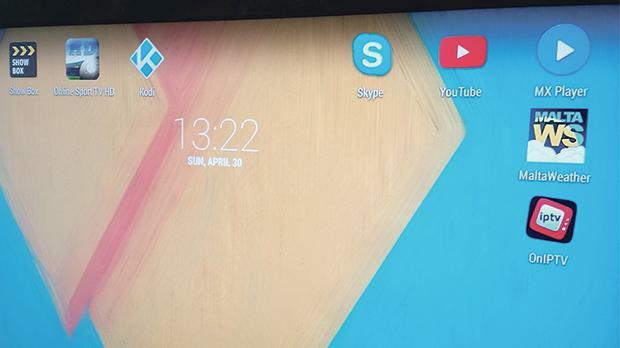 Popular TV streaming system Kodi, which has made its way into many Maltese homes, has been deemed illegal by the European Court of Justice. The ECJ ruled last week that using streaming services known as Kodi or IPTV, sold fully loaded with access to pirated movies and TV shows, should amount to copyright infringement. The systems first appeared on the island a few years ago and retail locally for about €120 for the hardware along with a monthly subscription of between €7 and €15. Some services do not even charge a subscription fee. Retailers, who insisted on anonymity, said the systems were proving extremely popular with the Maltese because many preferred their offering to that of the traditional TV service providers Melita and GO. The online systems offer viewers the chance to get their hands on live sports, Hollywood blockbusters and the latest TV series for a fraction of the prices charged by regular providers. “Whenever you walk into a bar and watch football, chances are you are watching it on one of these systems, “one retailer said. This, however, may be about to change. The Luxembourg-based Court found against a Dutch vendor, identified in official documents only as “Mr Willums”, who sold Kodi boxes full of piracy enabling plug-ins over the internet. And although the Court recognised that the equipment itself was not illegal, the way he had customised them to facilitate the piracy of films, television and music was. The Court found that the seller had “full knowledge of the consequences of his conduct” and had been wilfully enabling piracy. The act of piracy through the downloading of films has long been established as illegal, however, streaming was previously seen as a legal grey area because the content is only temporarily transmitted. The ECJ judgement, however, should settle the debate on the legality of the practice once and for all. It found that “acts of temporary reproduction”, on the multimedia player in question, of copyright protected content adversely affected copyright holders. Another seller told the Times of Malta that if the authorities wanted to fine those who owned such a set-up, they would need to build a new printing press first. “Do you have any idea how many of these we have sold? Half the island won’t have a TV to watch if this is stopped,” he said. In the judgment, the ECJ ack-nowledges that “the multimedia player has been purchased by a fairly large number of people”. While it is unclear what will happen in Malta, anti-piracy measures have already been announced online. Last month, online gadget giant Amazon banned the sale of fully-loaded Kodi TV boxes and other pirate devices from its global online store.